I was on assignment for an event. Again, I was invited to the annual Christmas Potluck at the Community Center. Instead of standing around doing nothing, I offered to help move tables. And to avoid my camera being bumped around, I decided to put it down for a moment on the shelf with my bag where other people had their belongings too. I turned around to continue to finish what I was doing. Then someone decides to move the shelf and I heard something smash on the floor. I was in shock. Oh yes, it was very painful. My heart just shattered, especially when it was a special gift from hubby. The hood cracked apart, but I think it kinda protected the lens. The top LCD was busted so I can't see the display. It's not just LCD. 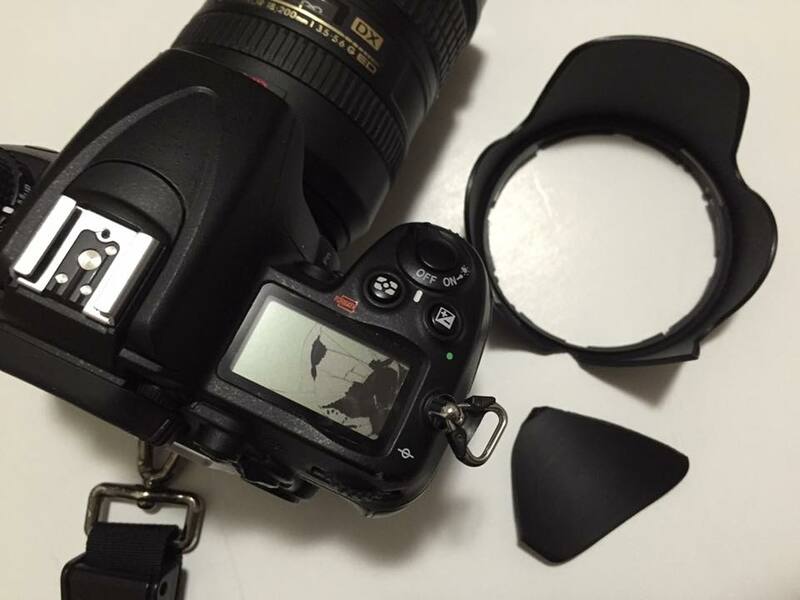 The lens squeaks on autofocus and something shakes in the camera when I press the shutter. I'm not sure what it is. When I'm pressing the shutter button halfway to focus, the image (in the viewfinder) moves up and down. I did some research about it via Google. I think it's something to do with the mirror. Someone posted that it's the VR elemenet in the VR lens that's moving. The click is the VR system turning on and off. Everything else seemed ok. At first I was getting error messages when I was shooting. I took out the SD cards and placed them back in again so that solved the problem. For the lens hood. I just super-glued it back together. It's not perfect, but it does the job (for now). I contacted one of my local camera repair shops. To fix only the LCD, it was about $200. Learned my lesson: Always keep my camera with me at all times.